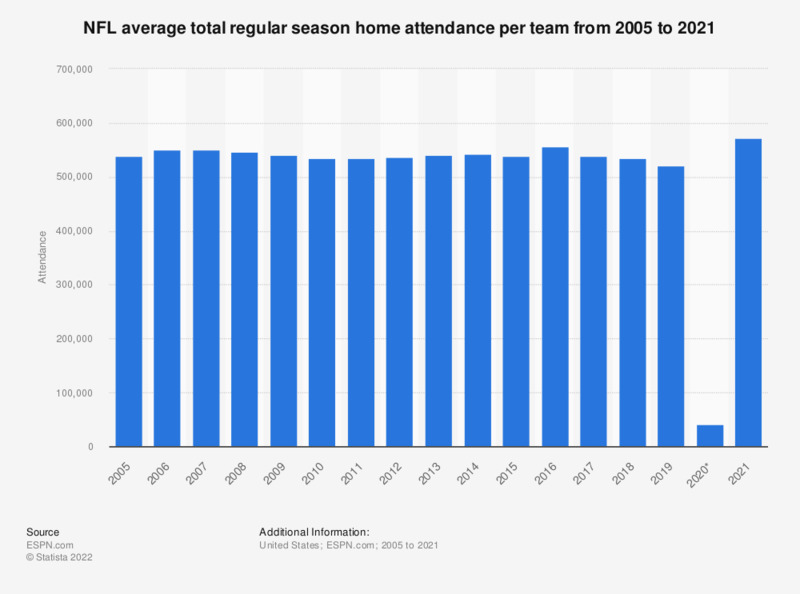 This graph depicts the average total regular season home attendance per team in the National Football League from 2005 to 2018. In 2018, the average total home attendance was 534,243. U.S. population: How many bags of Kettle potato chips have you eaten in the last 30 days?